Social media is becoming more and more of a marketing and advertising tool for businesses. Company deals and promotions can now be accessed and viewed by anyone at any time, in comparison to coupon cutting and yellow page listings. Location based social networking, seems to me, as the future in social media networking for businesses. What do I mean? When I go to check-in to a place on Foursquare, it will not only give me a list of companies and stores I can check-in to, but also a list of 25 deals that are within a certain radius of my location. I can go anywhere in the country and if I am looking for a special deal, all I need to do is log in and I have a list of stores, locations, and promotions all in the palm of my hands, literally. The point here is: location, location, location. It is already becoming a major theme with mobile marketing. Depending on the industry, location may or may not play a vital role in driving sales. For a grocery store, if no consumers know your location, how can you expect people to purchase your goods? 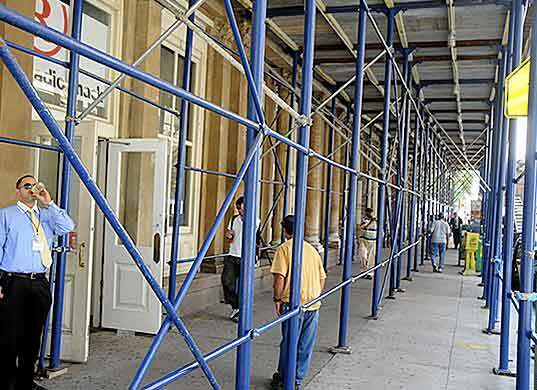 What about the mom and pop cafe that has the world’s greatest soup, yet their signs are blocked by scaffolding? Wouldn’t it make it difficult for new customers to find you? The future of social media may revolve around a space that many people have trouble understanding. The term “augmented reality” hasn’t been widely used, but I believe it is something that will become an integral part of social media marketing. Augmented reality is different from our everyday location-based check-ins and venue searching in many ways. 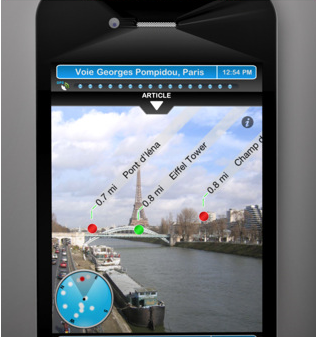 Imagine being able to see a business on your smartphone screen in reality, meaning, not drawn on a map. This video, although for real estate, is an example of what I mean. Now imagine that video if there were bars, restaurants and boutiques around you. You could log in to the augmented reality app, search for bars and not only will they be listed, you will be able to view a virtual comment or feedback from users who have been there. Imagine being able to see reviews about a restaurant as you walk by it, all in real time, instead of having to choose a place and then read the reviews. Not only does augmented reality have benefits for its user, but it also has a positive effect on business. An augmented reality application would save your business time and money because you would not have to be listing it in directories. People would more or less stumble upon your business in real time and when they are nearby. Let’s have our imaginations take us one step further. What if you could log in to Facebook, and it shows your Facebook friends who have checked into venues within a given radius? Move your mobile device to pan the landscape and it will display any comment that was included in the check-in by your Facebook friends. 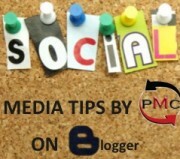 Staying social with media doesn’t necessarily revolve entirely around a single conversation. It can be as simple as leaving a comment at a store after buying a pair of socks for a very low price. Here is a video that was created to show the potential for augmented reality. It’s not real, but it does a good job at highlighting some points that could be brought to life in the near future. Augmented reality will give businesses the ability to be seen without the need to be selected by the user. If you can make your business stand out in an augmented reality app compared to a location-based list of the 10 closest venues, you may just win over consumers who didn’t know you existed. In reality, the only limit on social media is our imagination. If we can’t think it, it can’t come to life. Taking your business off of a webpage and putting into the hands of your consumer, literally and virtually is where I see social media for businesses heading. Tell me your thoughts and what you see as the future application of social media for businesses in the comments! Speak your mind!